1.1 BOLTRA will lease, and the Lessee will take on lease, the e-Bike described in the Application. 1.2 The Parties agree that this Agreement shall commence on the Start Date as noted in the Application, provided that BOLTRA has been supplied with a copy of the Lessee’s insurance policy as noted under clause 3.3(f). The Parties agree that the rent to own arrangement will not begin until BOLTRA has been supplied with the Lessee’s insurance policy. 1.3 Subject to clause 1.2, the obligations of this Agreement shall be on-going from the Start Date for the period of time as elected in the Application, and will continue until Lessee has met all of its obligations under this Agreement (“Term”). (b) after the Term, subject to the Lessee meeting all obligation under this Agreement and paying the total Lease Rental Fee, unless BOLTRA becomes entitled under this Agreement to repossess the e-Bike (for example, where you breach the terms of this Agreement). 2.1 The Lessee agrees to make the Lease Rental Fee payments to BOLTRA as per the Application and to comply with these general terms and conditions. 2.2 The Lessee authorises BOLTRA to charge the Lease Rental Fee payments and any other sum payable by the Lessee to the Lessee’s supplied account (the “Lessee’s Account”). The Lessee’s Account means a direct debit account provided by the Lessee or a credit card. Lessee’s obligation to pay the Lease Rental Fee is unconditional and is not subject to any reduction, set off, defence or counterclaim for any reason whatsoever. 2.3 The Lease Rental Fee will be deducted every 30 days from the Start Date from the Lessee’s Account. 2.4 If the Lessee elects to make payments via direct debit, the Lessee is required to fill out a direct debit authority prior to the Start Date and warrants that the bank details are correct and that the Lessee’s Account will have available funds for each and every 30 day payment during the Term. 2.5. In the event that payment from the Lessee’s Account declines, BOLTRA will notify the Lessee and the Lessee shall arrange for alternative payment within three (3) days after the date of such notice. The Lessee will be liable to pay any additional charges incurred by BOLTRA due to the payment decline. 2.6 If the alternative payment is not made in accordance with clause 2.5 above, BOLTRA will send the Lessee a notice that the Lessee is in default and that if the Lessee does not comply with BOLTRA’s requirements BOLTRA or a nominated third party will repossess the e-Bike (“Repossession Notice”). 2.7 If the Lessee does not remedy the default as required under the Repossession Notice, BOLTRA will be entitled to repossess the e-Bike and terminate this Agreement without prejudice to payment for the remainder of the Term. 2.8 In addition to BOLTRA’s rights under the Repossession Notice, if a Lease Rental Fee is not paid on the due date, without prejudice to any other remedies available to BOLTRA, the Lessee shall pay (at BOLTRA’s discretion) interest on the amount due at the rate of 6% per month calculated on a daily basis from the due date until the date payment is received in full. Any payments received by BOLTRA will be firstly applied against such interest. 2.9 Any expenses, disbursements and legal costs (on a solicit client basis) incurred by BOLTRA in the enforcement of any rights contained in this Agreement shall be paid by the Lessee, including any reasonable solicitor’s fees or debt collection agency fees. 3.1 Once the Agreement has commenced, the Lessee has full responsibility and liability for the e-Bike. 3.2 The Lessee must ensure that the e-Bike is in proper working order before the Agreement commences. If there any are problems with the e-Bike, then this must be reported to BOLTRA immediately so that another e-Bike may be allocated to the Lessee. (f) to ensure the e-Bike, with a reputable insurance company, against the risk of loss, or other damage to the e-Bike by fire, theft or other accident, including a wilful or negligent act or omission by you or of a person for whom you are responsible. You also agree to note the interest of BOLTRA on any insurance policy. 4.1 The Lessee understands that BOLTRA and the manufacturer of the e-Bike are separate, independent entities. The Lessee acknowledges and agrees that no representation, guarantee or warranty by the manufacturer or other person is binding upon BOLTRA, and that no breach by the manufacturer or other person will excuse the Lessee’s obligations to BOLTRA under this Agreement. 4.2 The Lessee acknowledges to BOLTRA that it has selected the e-Bike solely based upon its own judgment and that the principal function of BOLTRA is to provide you with the means of financing the purchase of the e-Bike during the Lessee’s selected Term. 4.3 The Lessee acknowledges that its payment obligations continue until the full Lease Rental Fee has been paid, even if the e-Bike is lost or damaged by theft, fire or other accident and the Lessee’s insurance provider does not agree to cover the loss or damage. 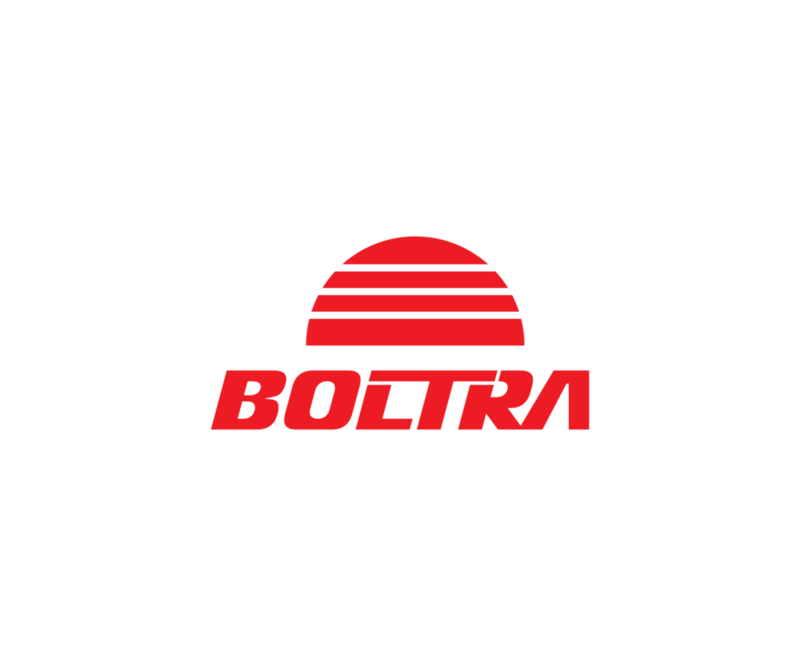 (b) not arrange or undertake any repairs without BOLTRA’s authority as BOLTRA has manufacturer warranties with the manufacturer, except to the extent that repairs or salvage are reasonably necessary to prevent further damage to the e-Bike or to other property. 5.2 The Lessee acknowledges and agrees that it will be solely responsible for all costs associated with the repair or replacement for the e-Bike. 6.1 For a period of three months from the Start Date, BOLTRA agrees to provide the Lessee maintenance for standard e-Bike repairs being spoke, bolts and nut tightening. General clean up and fighting of gears, brakes and brake pads/discs. Repairs which are not the result of an accident or negligence on the part of the Hirer ( “Maintenance Offer”). If the Hirer requires the Maintenance Offer it will contact BOLTRA between the hours of 0830 to 1730 (the “Business Hours”) and advice BOLTRA of the repair required. 6.2 BOLTRA will endeavour to attend to meet with the Lessee within the Business Hours on the day following the date of contact. 6.3 Upon meeting with the Lessee to provide the Maintenance Offer BOLTRA will assess the e-Bike to determine, in its sole discretion, if the Maintenance Offer is applicable. If BOLTRA determines that the Maintenance Offer is applicable, BOLTRA will complete the maintenance on the e-Bike, if applicable. 6.4 If the Maintenance Offer is not applicable to the Lessee, BOLTRA will proceed with the maintenance on the e-Bike at the Lessee’s cost. The Lessee understands and agrees that the maintenance of the e-Bike is a requirement under the manufacturer’s warranty. 7.1 The Lessee agrees that this Agreement creates a security interest in favour of BOLTRA which may be registered under the Personal Property and Securities Act (“PPSA). 7.2 The Lessee undertakes to provide such information as in BOLTRA’s opinion may be necessary to enable BOLTRA to perfect the security interest created as a first priority interest. 7.3 The Lessee agrees to waive the right to receive a verification statement confirming registration of a financing statement or a financing change statement relating to the security interest created by this Agreement. (d) to immediately notify BOLTRA of any change of name so we can amend any charge registered charge under the PPSA. 7.5 The Lessee acknowledges that title in the e-Bike shall remain with BOLTRA until the lessee has made full payment of the Lease Rental Fee. 7.6 Subject to BOLTRA complying with the provisions of clauses 2.6, 2.7 and 7, the Lessee gives irrevocable authority to BOLTRA to enter any premises occupied by the Lessee where the e-Bike is situated at any reasonable time after default by the Lessee or before default if BOLTRA believes a default is likely and to remove and repossess the e-Bike. BOLTRA shall not be liable for any costs, damages, expenses or losses incurred by the Lessee or any third party as a result of this action, nor liable in contract or in tort or otherwise in any way whatsoever unless by statute such liability cannot be excluded. 8.1 The manufacturer of the e-Bike warrants that for the Warranty Period (as defined below), the e-Bike will be free from material defects in materials and workmanship. (a) any repairs under warranty during the Warranty Period must be conducted by BOLTRA or a third party authorised by the Vendor. 8.4 The "Warranty Period" begins on the date the e-Bike is delivered to the Lessee and continues for 36 months. (b) transfer the remaining term of the warranty to the Lessee at the end of the Term (if applicable). (b) excluded from the warranty are problems due to accidents, misuse, misapplication, storage damage, negligence, or modification, repair or fair wear and tear of the e-Bike or its components. 8.6 The warranties are exclusive and in lieu of all other warranties, whether express or implied, including the implied warranties of merchantability and fitness for a particular purpose. (b) any loss of, or damage to, the e-Bike, third parties and property of third parties, arising during the Term. 9.2 The Lessee agrees and undertakes to defend, indemnify and keep BOLTRA indemnified from and against all claims, losses, expenses, actions, proceedings, liabilities and demands (except where caused by BOLTRA’s negligence or default) incurred by BOLTRA in any manner from this Agreement. 10.1 In the event that the Lessee fails to comply with the terms of this Agreement (including failure to pay charges and fees due), then BOLTRA has the right to terminate the Agreement at any time without notice and without prejudice to any of its rights and remedies and is entitled to payment of all losses, charges, fees and all other amounts due under the Agreement. 10.2 This Agreement terminates upon the Lessee’s the Lessee’s full payment of all monies payable under the Lease Rental Fee and fulfilment of all terms and conditions until the expiry of the Term. 11.1 BOLTRA may collect information about the Lessee in connection with the performance of this Agreement. The Lessee may not be able to perform this Agreement if all the information requested is not provided. 11.2 Information collected and held about the Lessee may be used by BOLTRA in connection with the performance of this Agreement. BOLTRA may disclose such information to others for the purposes of performing this Agreement. 11.3 Such information will be stored in accordance with the applicable laws under the Privacy Act 1993, individuals have rights of access to, and correction of, their personal information upon contacting BOLTRA. BOLTRA will comply with the Privacy Act 1993 and any applicable regulations and codes in connection with the collection and use of such information. 11.4 The Lessee acknowledges that it has an obligation to notify BOLTRA of any chance in contact details. (c) in the case of an email notice, on the day we send the email to you, provided that any email notice or communication sent after 5.00 pm on a working day in the place to which it is sent, or on a day which was not a working day in that place, will be deemed not to have been sent until the next working day in that place. 12.2 The Lessee may email BOLTRA with changes it wishes BOLTRA to make to the Lessor’s existing payment structure pursuant to any direct debit authority established for the purposes of this Agreement. Any changes shall be subject to BOLTRA’s agreement and if we approve any changes we will record this in writing.